Mara came to Long Beach Animal Care Services as a stray. She’s a year old and barely out of kittenhood. She has a look of wistfulness in her beautiful, round, green eyes, as if wondering when someone will take her home forever. She’s loving and social, and would be a cuddler on these chilly nights—and beyond! 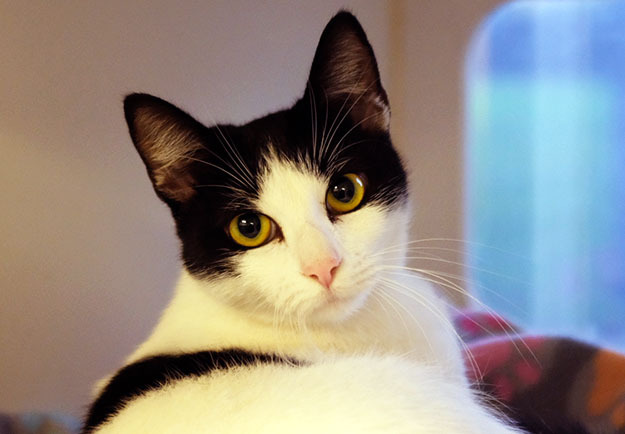 Meet Mara on the shelter side of the Companion Animal Village at 7700 East Spring St., (562) 570-PETS. Ask for ID#A614731.